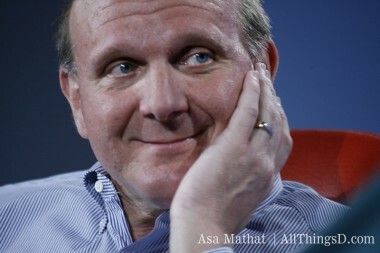 Say what you will about Steve Ballmer as a CEO. But you can’t deny that the longtime Microsoft chief has got heart. In an emotional send-off to the company he was a part of for more than three decades, Ballmer delivered a tearful goodbye speech at Microsoft’s annual employee meeting, held in Seattle’s KeyArena and attended by more than 13,000 staff (with another 25,000 tuning in via Webcast). Ballmer, who was one of Microsoft’s earliest hires, and was named CEO in January of 2000, announced last month that he plans to retire from his post within the next 12 months. The board is currently on the hunt for a new CEO, eyeing execs like Ford’s Alan Mulally and the recently acquired Nokia’s Stephen Elop. The Verge obtained exclusive video of the final, most emotional part of his speech, which you should definitely watch — “Dirty Dancing” sendoff music and all.